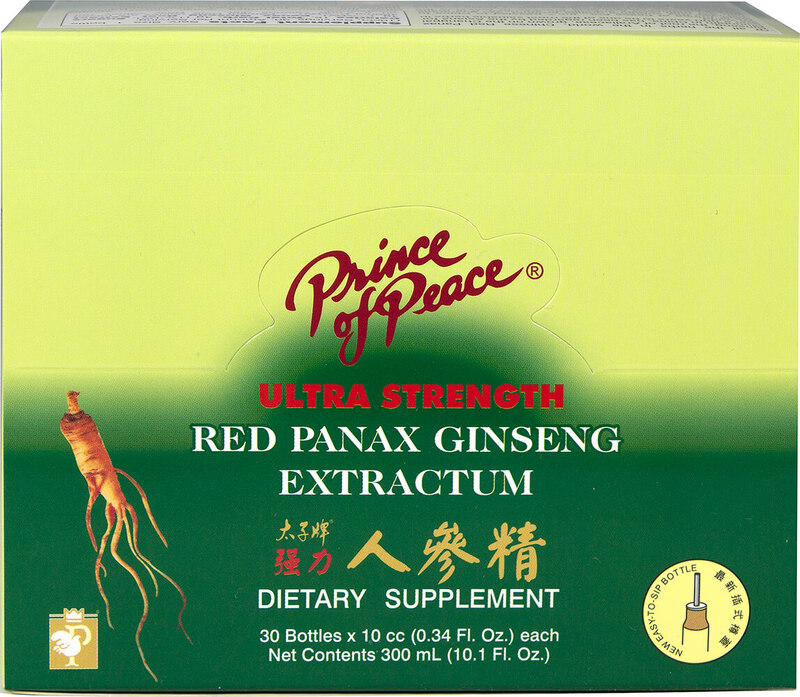 Red Panax Ginseng, the root of Araliaceae, is a precious natural product grown in Mount Chang Pai, China. 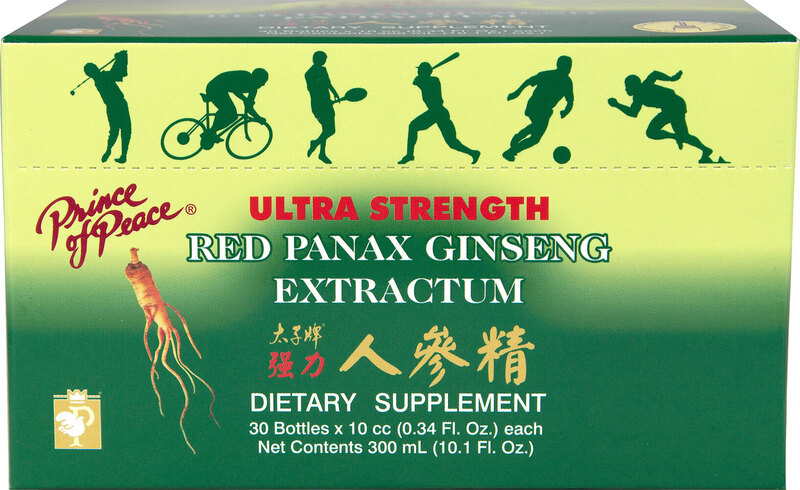 Each 10cc bottle contains a non-alcoholic blend of extra strength purified water, 6 year-old Chinese Red Panax Ginseng Extract, Honey and Alcohol. For full strength, use the enclosed straws while consuming the entire vial. 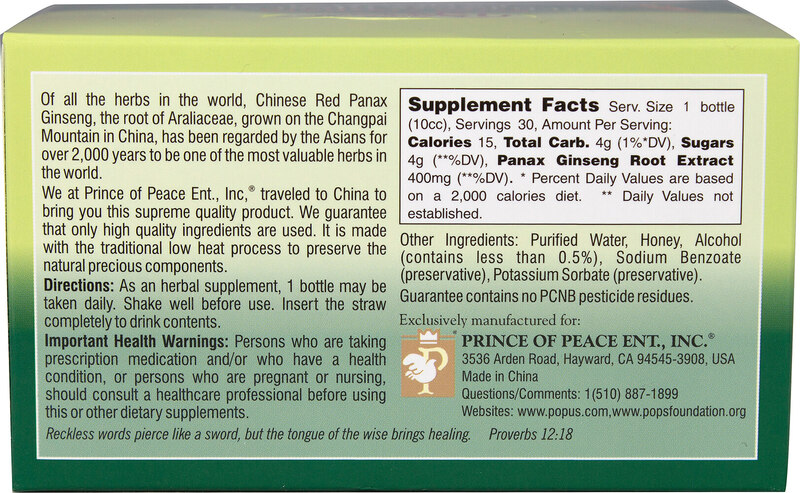 Manufactured by PRINCE OF PEACE.